Qutone – The pioneer in Tile Innovations creates a magnum showcase for a luxury experience in the world heritage city of India. Qutone Experience Center offers a robust and overwhelming experience of wide range of Ceramic & Vitrified Tiles, made by Qutone with international quality standards. Qutone Experience Center houses a huge range of Qutone products iMarble, DGVT, Qrock, iQ-Smart, Elegante and Wall Tiles are showcased under one roof to provide wide choice of extravagant and magnificent product range. Qutone created new benchmarks with varied innovations in the Indian Tile industry and is honoured to be partnering the Prime Minister’s “Make in India” initiative. The company is manufacturing the product line “imarble” – World’s Biggest Slab at first of its kind, state-of-the-art plant using European technology based at Gujarat. 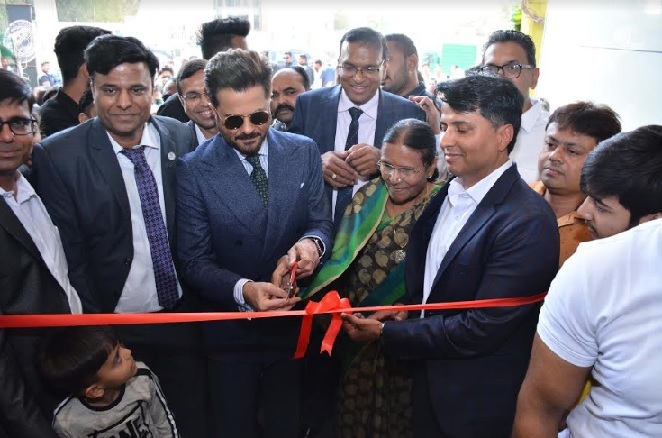 Actor Anil Kapoor who is the Brand Ambassador & Face for Qutone, visited Ahmedabad and inaugurated the Qutone Experience Center along with Mr. Manoj Agarwal – C.M.D., Qutone and the entire management. Qutone Experience Center are present in 11 locations in India now and one in Italy, the forthcoming months will see launches in Guwahati, Delhi, Kolkata, Indore in India and Spain, China and United Kingdom.